Most everyone is familiar with the 4 P’s of Markting, Product, Place, Positioning and Price- but have you heard of the 4 E’s of Marketing? While there’s no audio, and I’m planning on looking up more from Graves on the subject, it’s pretty easy to realize what he’s getting at. Things have changed. Experience: Where marketers used to focus on their product, now we must think of the entire customer experience- what does a customer encounter related to purchasing and using your product/service? EveryPlace: Today, place has become everyplace- there’s just SO MANY methods for conveying your message: IM, SMS, countless social media websites, video games, product placement in places like TV, Movies, internet video clips- the list goes on. Exchange: With so much on the web being offered for free, pricing has become much different. Words like Freemium, describing how premium services pay for free services offered by the same company would have boggled marketers minds a few years ago. Our solution includes a dedicated strategy advisor that will support the completion of your plan and it’s successful implementation. Engagement/Evangelism: Promotion isn’t enough any longer. With so many more message channels, we can’t just bombard people with messages and hope they’ll pick them up. Companies have to figure out how to get consumers to allow them into their attention spans. As I said, I want to read more, and I encourage you to check out the presentation yourself. Staying on top of the changes in marketing is essential, but the good news is that while many of the changes in the last few years may require deeper thought about what customers want, many also have come with a cheaper price tag (as we’ve discussed earlier). Good luck learning how to utilize the 4 E’s! 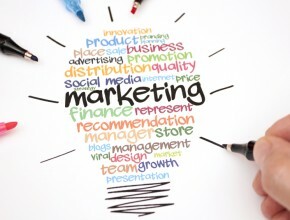 The marketing mix is very important.